Hello! 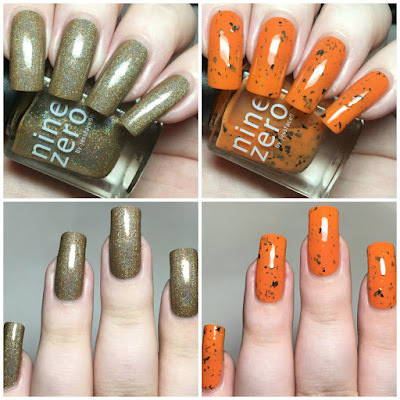 Today I'm back with swatches of two Nine Zero Lacquer polishes. Continuing with my monthly series, I have my swatch of 'October 2016'. If you missed September 2016', you can find that post here. 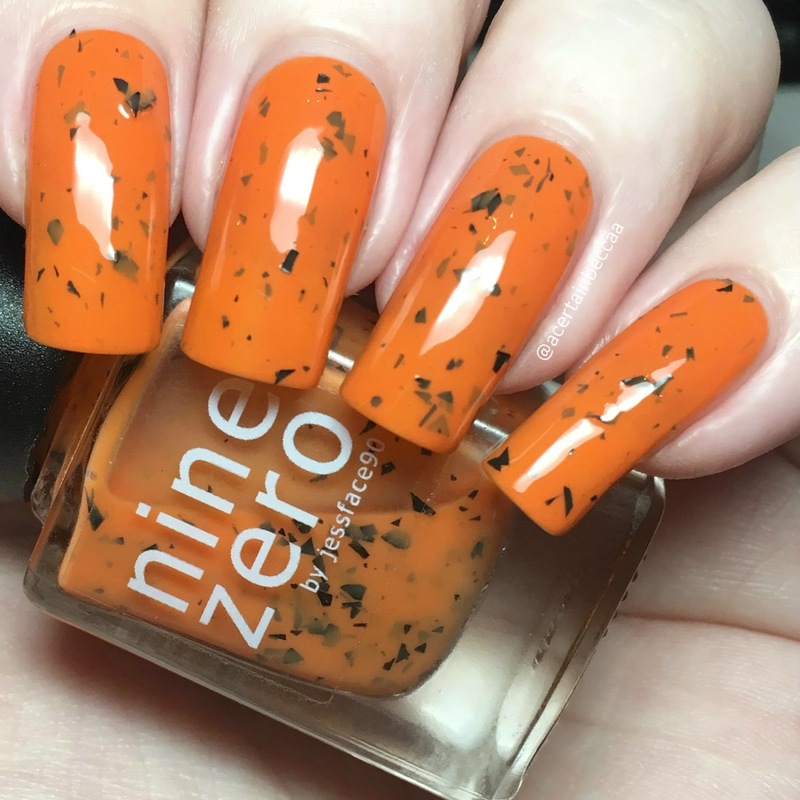 I also have Halloween polish 'Jack O'Lantern Juice' to share. I purchased this some time ago on Rainbow Connection, ready to play with this month. 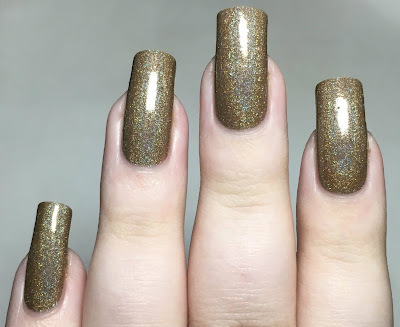 Read on for my full swatches of both and more info! 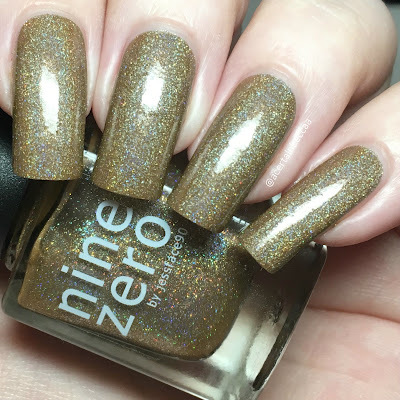 'October 2016' is a light brown holographic with added holographic microglitter. The formula is super smooth and easy to apply. Being a lighter colour this is slightly sheer on the first coat, though it does build up nicely with a second. Below is two coats with topcoat. 'Jack O'Lantern Juice' is a bright orange crelly base packed with shredded black glitter. 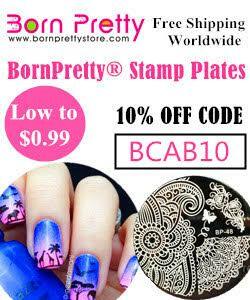 It has a smooth and easy to apply formula, and the shreds spread out nicely without much manipulation. This is a bit sheer on the first coat, so I added a thicker second to make sure it was opaque. Below is two coats with topcoat. What do you think? I'm always impressed with Jess's polishes. 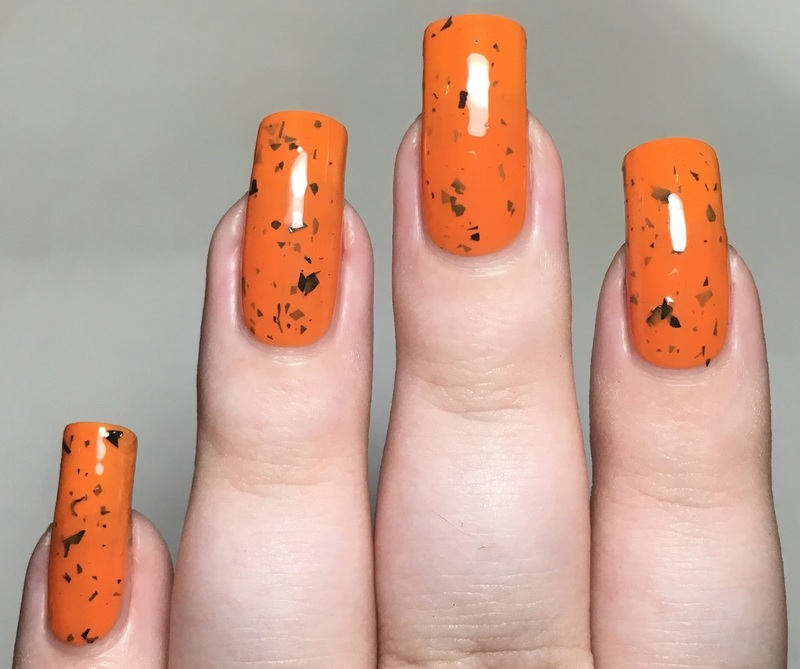 'Jack O'Lantern Juice' has to be my favourite of the two, I just love how bright and fun it is. I also can't get enough of those black shreds. I do have the entire Smoothie Bar collection waiting to be swatched, so fingers crossed I love those just as much! Both polishes mentioned are currently available on the Nine Zero Lacquer website - 'October 2016' here, and 'Jack O'Lantern Juice' here.